100% pure twill woven silk scarf in pale cream. 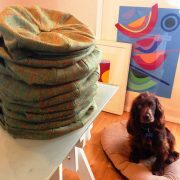 Generously sized at 130cm x 31cm. A Goodwood Revival favourite, you won’t find a better quality silk scarf. This one has a fantastic sheen and a lovely, heavy weight that can only be achieved with silk that is twill woven – a process applied to only the very best scarves. 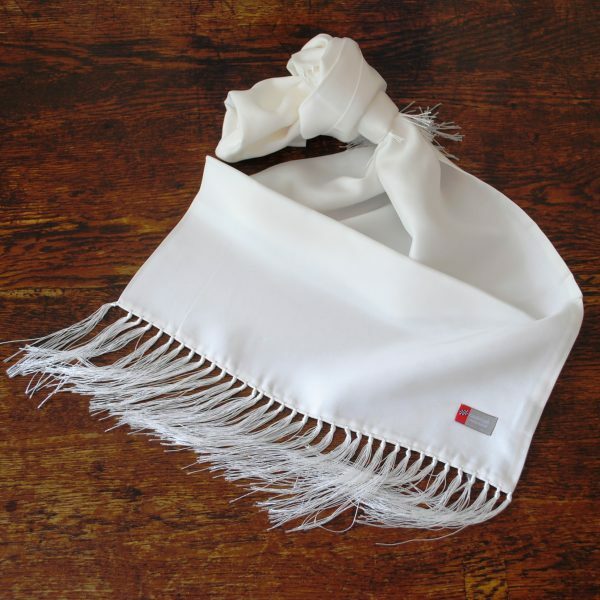 Made up by hand with hand knotted tassels, it’s a scarf that will look great with your flying jacket, or dinner jacket. 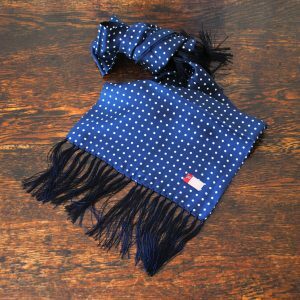 100% pure silk 'Birkin Spot' polka dot scarf in blue with white dots. 148cm x 25cm. 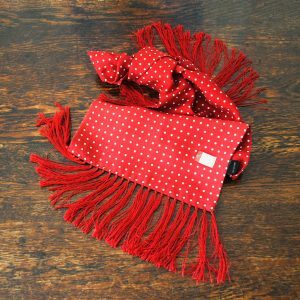 100% pure silk polka dot scarf in red with white dots. 148cm x 24cm. 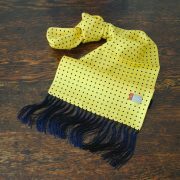 100% pure silk polka dot scarf in yellow with dark blue dots. 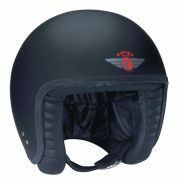 148cm x 24cm.